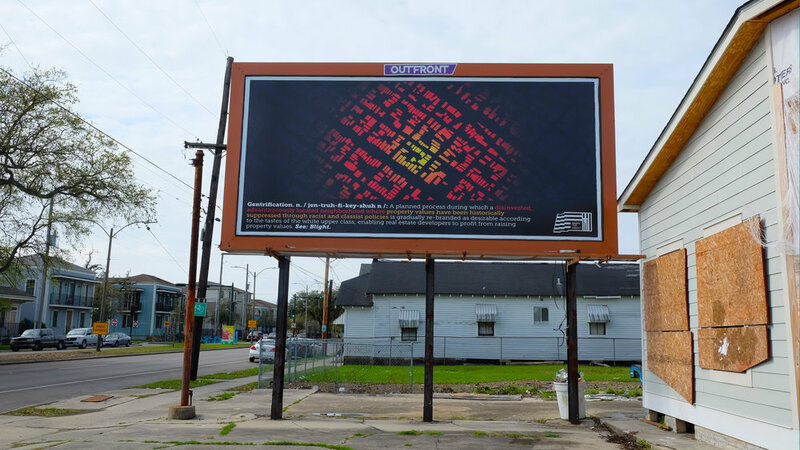 BLIGHTS OUT is a collective of artists, activists, and architects who seek to demystify and democratize the system of housing development and expose the policies that lead to gentrification. 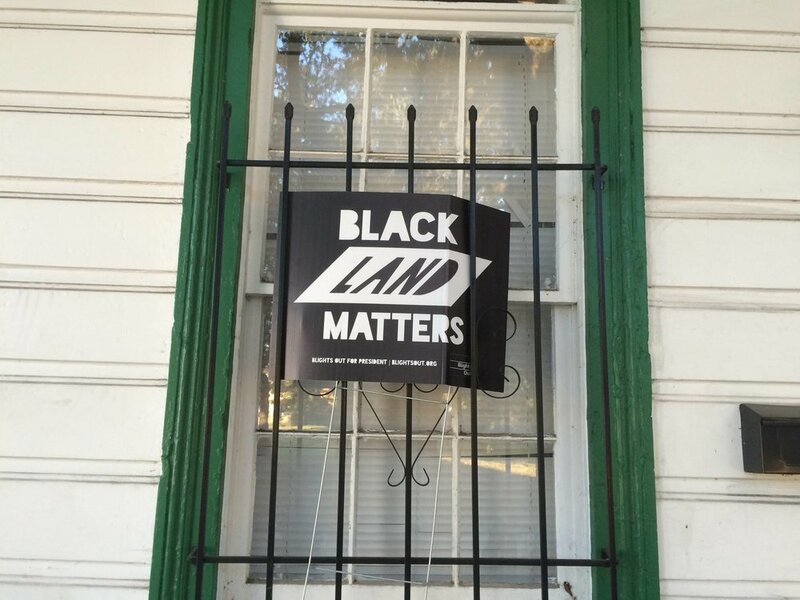 We have located the lynchpin of gentrification in laws governing property, debt, and racialized wealth stratification. 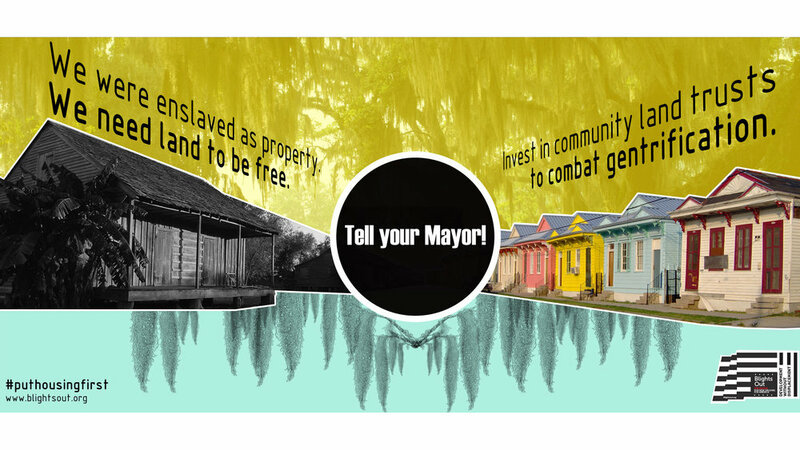 Our mission is to generate dialogue, art, and action that challenge inequitable development and drive land use policy in New Orleans. Blights Out for Mayor calls for and suggests entry points into a post-Katrina Truth and Reconciliation process. 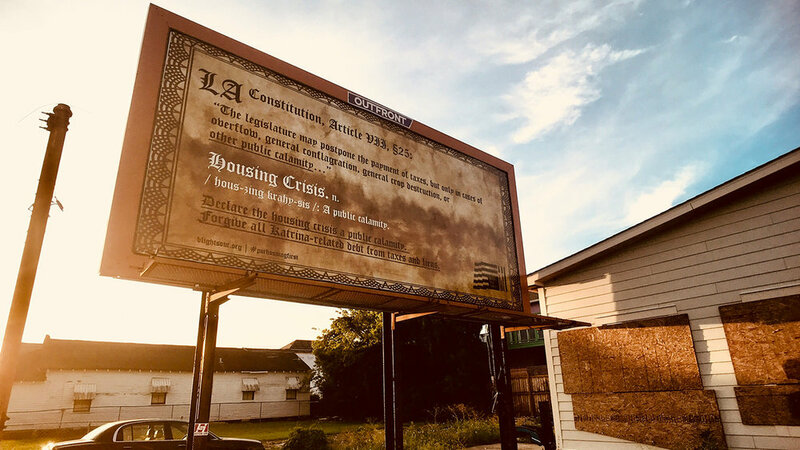 We seek the redress of policies and values imposed in the wake of disaster that reinforce ecological apartheid in our housing landscape and that threaten to turn our city into a gentrified fortress that shelters the wealthiest from the rising-up of seas and people. 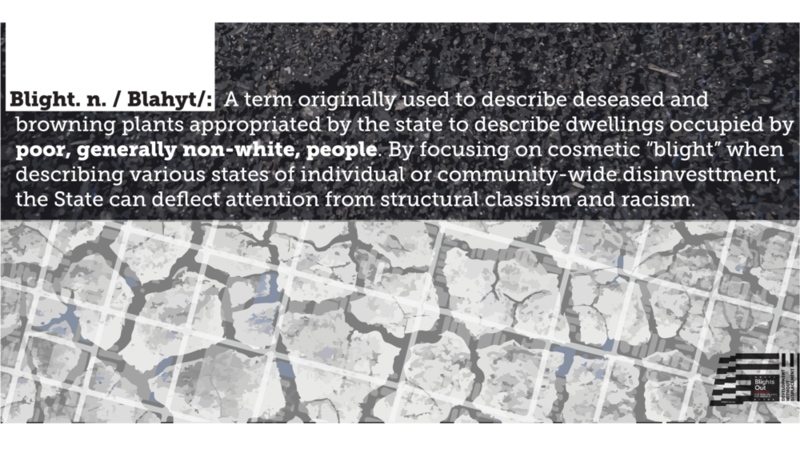 The Living Glossary offers expanded, personalized definitions of the sterile vocabulary of housing development,demystifying terms and concepts such as: "auction", "blight", "community", "development", "gentrification", "property". Moving through and beyond legal or "official" definitions, the glossary will detail the historic origins of the terms, the socio-political contexts that activate the words, and oral histories from individuals whose lives have been affected by the concepts, bringing a living fullness to deceptively simple words that frame our lives but whose shallow definitions flatten our ability to understand and work against oppressive realities. 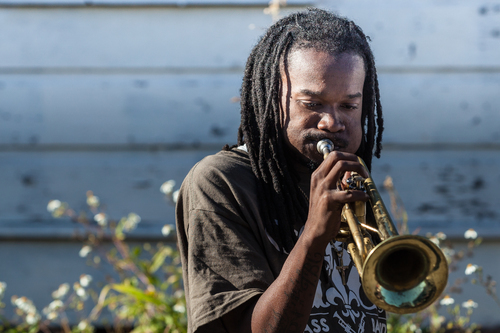 In December 2014, Blights Out activated Home Court Crawl (HCC) with a porch crawl/ roving performance in collaboration with Junebug Productions, Kesha McKey, and Frederick “Hollywood” Delahoussaye. Hollywood and McKey “performed architecture” by engaging in a call-and-response with blighted homes, reading the architecture as text, riffing on the absurd state of the hollow structures, and energizing them with folly, rage, spirit, and joy. 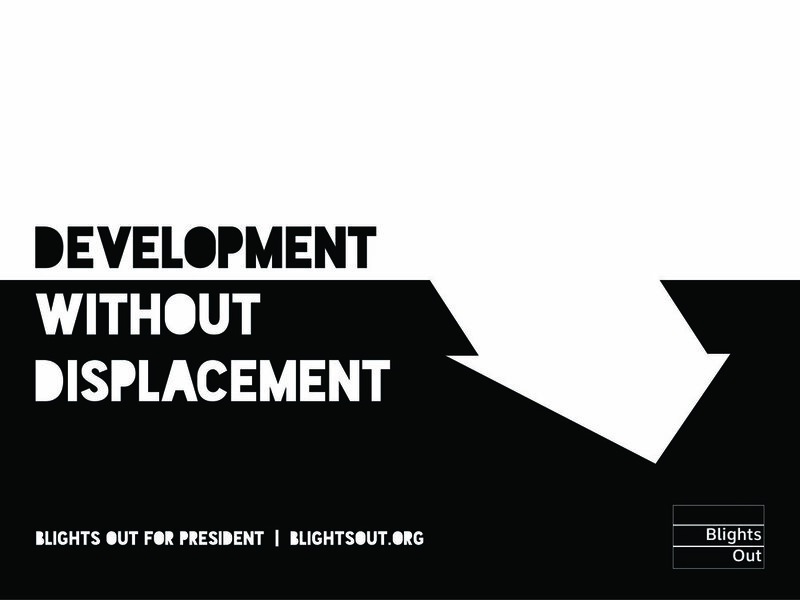 Blights Out recognizes that "development" is a murky and mysterious process that operates above the heads and outside the purview of most local residents. 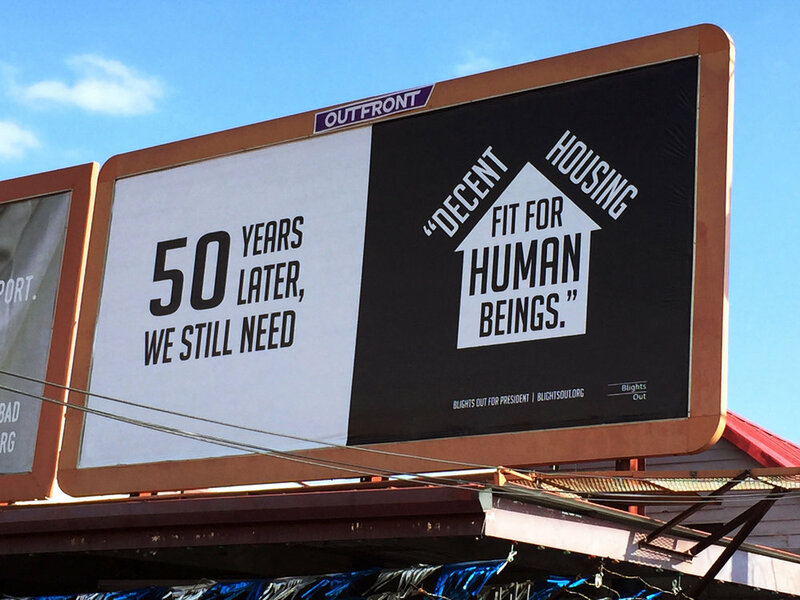 For the last three years, we have generated dialogue, art, and action in an attempt to make the system of housing development and its after-effects transparent, accessible and accountable to local residents; that supports the movement for permanently affordable housing; and that challenges blight, displacement, and gentrification. 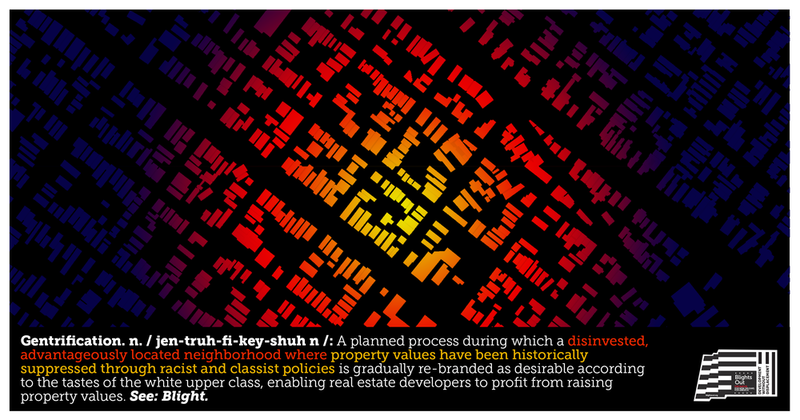 Our original goal was to purchase a two-story blighted property, to connect it with a local community land trust, and to transform it into a multipurpose center with permanently affordable housing and community organizing space––a model a new mode of 'development' and a hub for the generation of art, dialogue and action in support of housing as a human right. 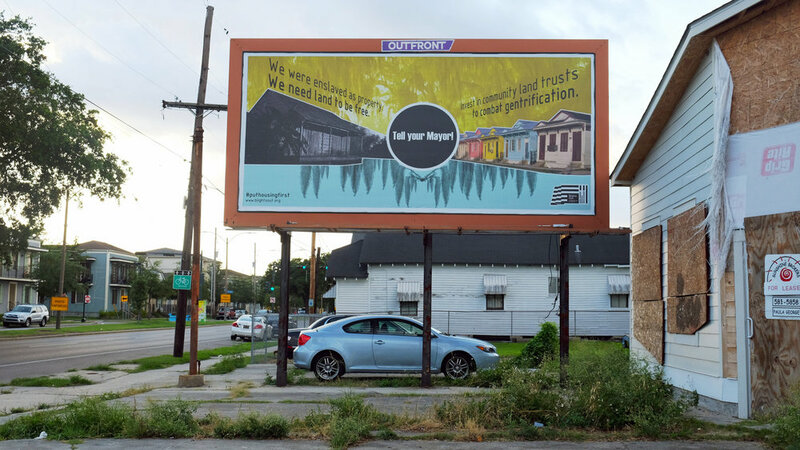 For four years, we worked to acquire a blighted property directly from home owners, person to person, without participating in the predatory housing auction market, which has roots in the system of slavery in New Orleans. 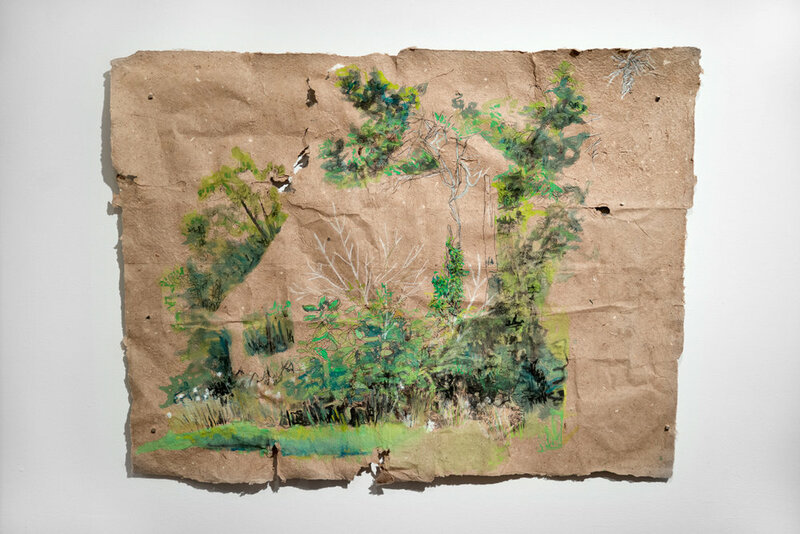 This process of acquiring property was fraught with the same confusion and corruption that ensnares housing in New Orleans like the equally ubiquitous kudzu that strangles forgotten homes. While frustrating, this process was eye-opening, providing significant insight into the reasons for our city's current affordable housing crisis. 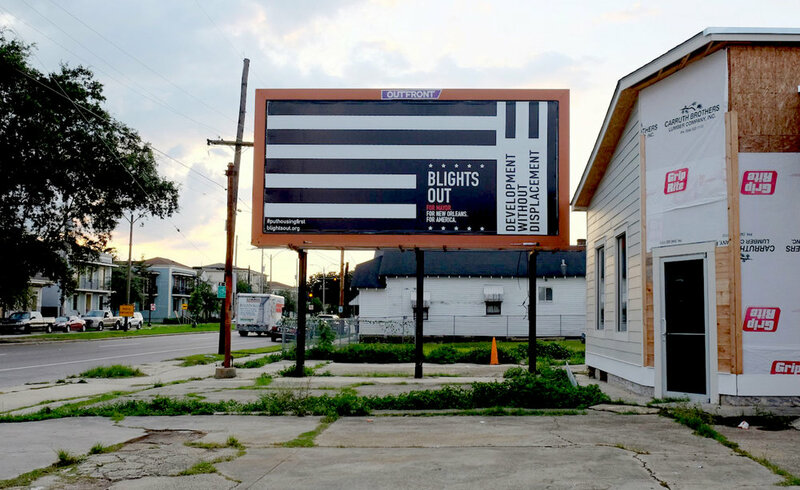 Our creative strategies, artwork, stories, and research will become accessible to the public via public performances and events, a year-long billboard messaging project (Blights Out for Mayor), a living history project (Living Glossary), and a publication. 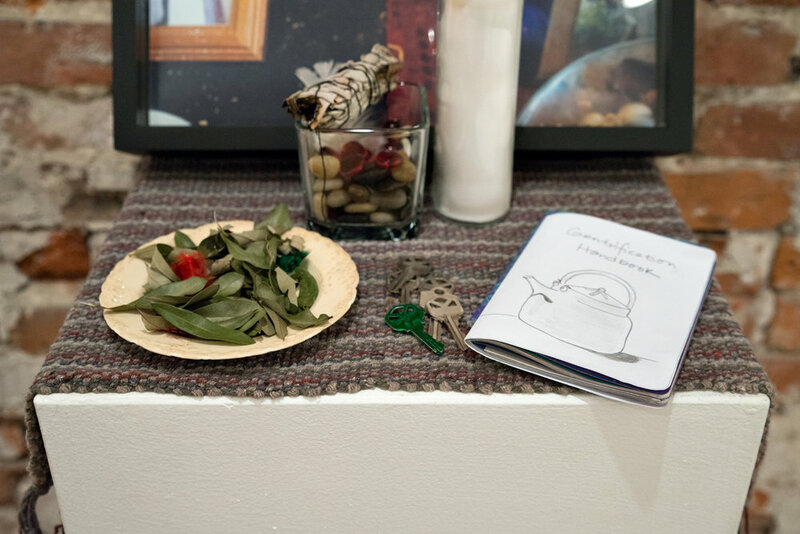 Blights Out unites a coalition of communities who have not ordinarily been in dialogue—artists and policy-makers, nationals and locals, natives and newcomers, young and old, and peoples of all races, economic stata, backgrounds, and professions. We are not reinventing the wheel—we recognize that we ARE the wheel; we function as the structural connective tissue between individuals and organizations across interest groups. Partners: Organizational Partners: Antenna, National Organization of Minority Architects (NOMA), Junebug Productions, HousingNOLA, Greater New Orleans Fair Housing Action Center (GNOFHAC), Ole & Nu Style Fellas Social Aid and Pleasure Club, RAO Real Estate Advisory, Justice and Beyond Coalition, Crescent City Community Land Trust (CCCLT), Newcomb Art Museum at Tulane University, May Gallery & Residency, NEXT City, New Orleans Master Crafts Guild, Hidden History Tours, and Loyola Law School Human Rights Clinic.